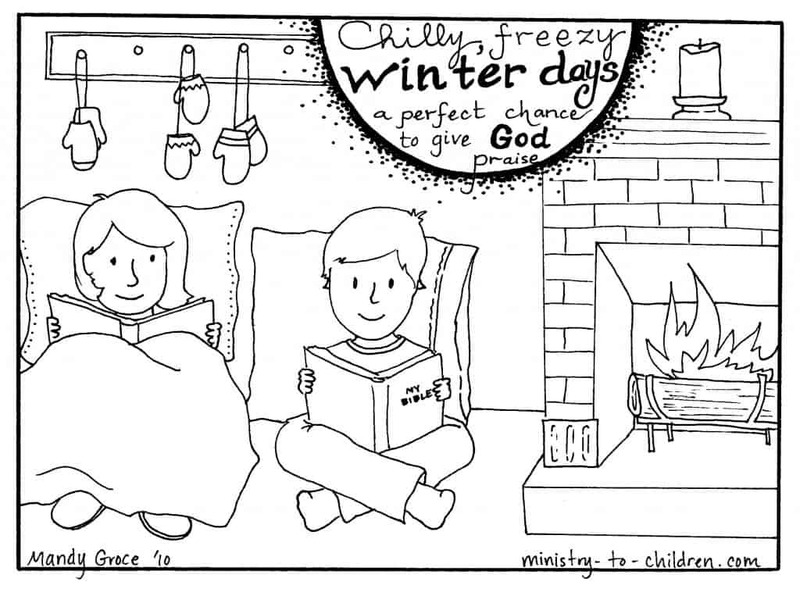 Here is a perfect way to celebrate those cold winter days and remind kids to praise God. This is one just one of our seasonal coloring pages by Mandy Groce. Each shows that God is good and we can love him for creating such a variety of weather. Leave a comment below to say thanks. Directions: To download this Christian coloring page about winter, simply click the preview image for a print friendly PDF file. You can also download the higher resolution jpeg image for advanced editing. Chilly freezy winter days, a perfect chance to give God praise. Like all our website materials, this coloring sheets is 100% free for you to copy for your church, home, or school. You can leave a comment below to let us know how you will be using it. Tony Kummer (Editor) reviewed & updated this page on : January 19, 2019 at 9:05 am. All our content is peer reviewed by our readers, simply leave a comment on any post suggest an update.